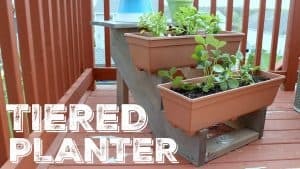 Want to make your own outdoor pillow? 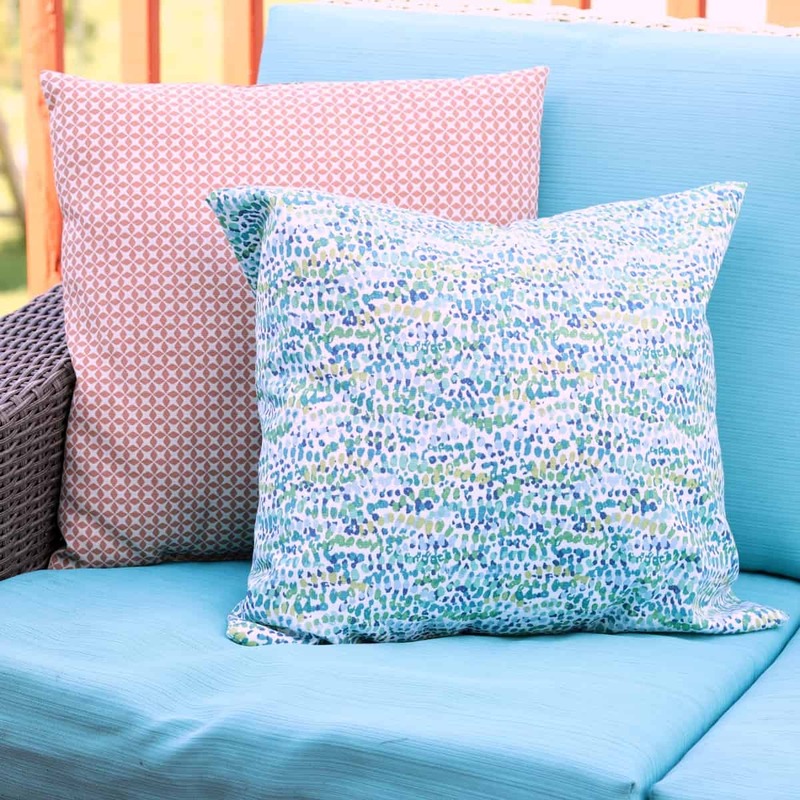 This simple sewing project will walk you through how to make full and comfy pillows that hold up to the elements and come in the perfect fabric; one that you choose! Subscribe to Creative Ramblings and get new posts like this delivered right to your inbox. This Spring I pulled out my outdoor cushions and pillows and found that 2 really needed to be replaced. They were $5 from Walmart and were showing wear like you would expect from a $5 pillow. I searched for pillows that would coordinate with my deck furniture and also be full and comfy. Either I couldn’t find the right colors or they were $50 a pillow! I decided to make my own using outdoor fabric and an outdoor pillow insert, I am so happy with how these turned out. Follow Creative Ramblings on YouTube for more videos like this. 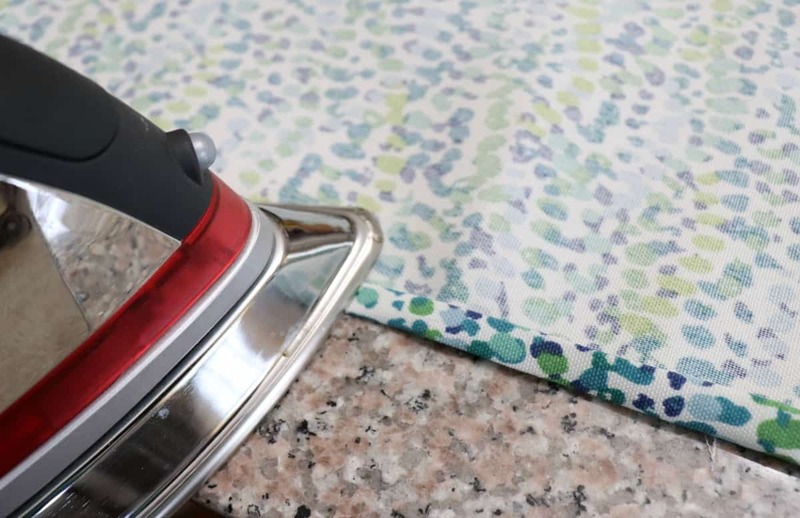 Start by cutting a half yard of outdoor fabric into a 18 x 42 inch piece. Hem the 2 short ends by folding them over twice, about a half inch total, then sewing with a straight stitch. This is a thick fabric so I found it helpful to press my hem and pin it in place before sewing. Next, lay your fabric right side up on a table and place an 18 inch fabric ruler in the center. Fold the ends of the fabric in, they will overlap to create an envelope. Pin the fabric in place and use a zigzag stitch to close up the ends of the pillow. Remove the pins, trim any excess tread and turn your pillow cover right side out. Stuff an outdoor pillow insert inside and your outdoor pillow is ready to go! 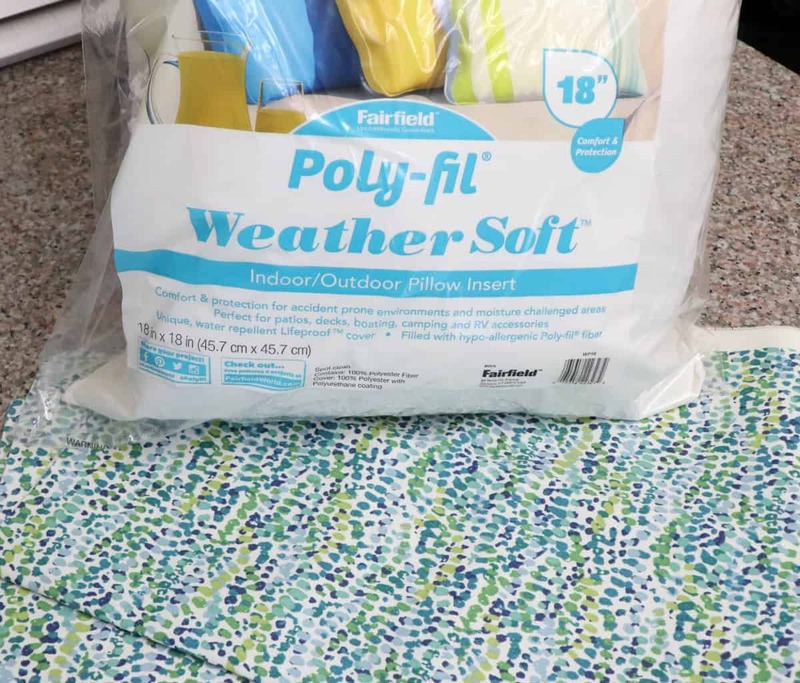 These envelope pillow covers can easily be removed for washing as needed which is nice after a long season of popsicles and lemonade on the deck. 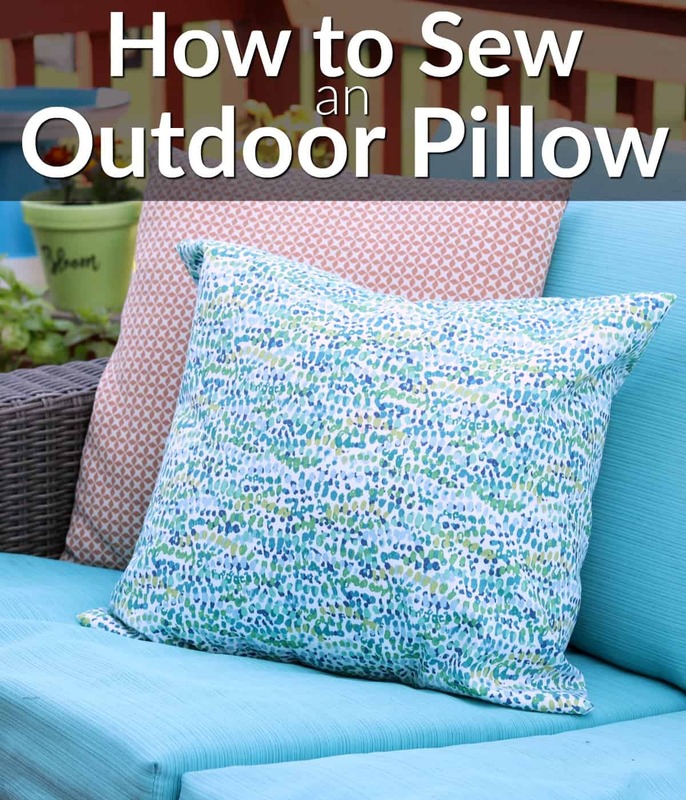 Be sure to watch the full video for a detailed tutorial on how to make an outdoor pillow. 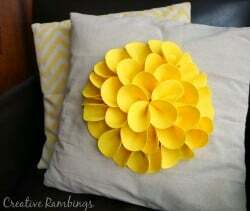 You can also use this technique to make indoor pillows for your home. This pillow looks great and wondering its color. I want to sew such an outdoor pillow by following you. So, thanks for sharing!